(g) Seek or receive any assistance, in any way, from anyone to engage in any activity prohibited to a State Party under this Convention . Any nuclear weapon test explosion or any other nuclear explosion . Each State Party shall submit to the Secretary -General of the United Nations, not later than 30 days after this Convention enters into force for it a declaration in which it shall declare whether it has manufactured, possessed or otherwise acquired nuclear weapons or other nuclear explosive devices after 5 December 2001. Each State Party undertakes to accept safeguards, with a view to preventing diversion of nuclear energy from peaceful uses to nuclear weapons or other nuclear explosive devices, as provided in the Annex to this Convention. Each State Party that has manufactured, possessed or otherwise acquired nuclear weapons or other nuclear explosive devices after 5 December 2001, and eliminated all such weapons or explosive devices prior to the entry into force of the Convention for it, undertakes to cooperate with the International Atomic Energy Agency for the purpose of verification of the completeness of its inventory of nuclear material and nuclear installations. Unless otherwise agreed by the States Parties, arrangements necessary for the verification required by this Article shall be concluded in an agreement between the State Party and the International Atomic Energy Agency. Negotiation of such an agreement shall commence within 180 days of the submission of the declaration provided for in Article 2. Such agreements shall enter into force not later than eighteen months after the date of the initiation of negotiations. 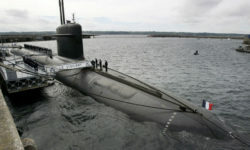 For the purpose of performing the verification required by this Article, the International Atomic Energy Agency shall be provided with full access to any location or facility associated with a nuclear weapon programme and shall have the right to request access on a case-by-case basis to other locations or facilities that the Agency may wish to visit. Proposals for further effective measures relating to nuclear disarmament, including provisions for the verified and irreversible elimination of any remaining nuclear weapon programmes under strict and effective international control, which may take the form of additional protocols to this Convention, may be considered at the Meetings of States Parties or Review Conferences. All States represented at the meeting or review conference may participate fully in such consideration. The meeting or review conference may agree upon additional protocols which shall be adopted and annexed to the Convention in accordance with its provisions. Each State Party in a position to do so shall with respect to individuals affected by the use or testing of nuclear weapons in areas under its jurisdiction or control, in accordance with applicable international humanitarian and human rights law, adequately provide age- and gender-sensitive assistance, including medical care, rehabilitation and psychological support, as well as provide for their social and economic inclusion. Each State Party with respect to areas under its jurisdiction or control contaminated as a result of activities related to the testing or use of nuclear weapons or other nuclear explosive devices, shall have the right to request and to receive assistance toward the environmental remediation of areas so contaminated. Such assistance may be provided, inter alia, through the United Nations system, international, regional or national organizations or institutions, non -governmental organizations or institutions, or on a bilateral basis. Each State Party shall, in accordance with its constitutional processes, adopt the necessary measures to implement its obligations under this Convention. Each State Party shall cooperate with other States Parties to facilitate the implementation of the obligations of this Convention. In fulfilling its obligations under this Convention each State Party has the right to seek and receive assistance. Proposals for effective measures relating to nuclear disarmament, including provisions for the verified and irreversible elimination of nuclear weapon programmes , including additional protocols to this Convention. The first Meeting of States Parties shall be convened by the Secretary -General of the United Nations within one year of the entry into force of this Convention. Further Meetings of States Parties shall be convened by the Secretary -General of the United Nations on a biennial basis, unless otherwise agreed by the States Parties. 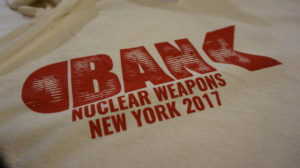 After a period of five years following the entry into force of this Convention, the Meetings of States Parties may decide to convene a conference to review the operation of this Convention with a view to assuring that the purposes of the preamble and the provisions of the Convention, including the provisions concerning negotiations on effective measures for nuclear disarmament, are being realized. States not party to this Convention, as well as the United Nations, other relevant international organizations or institutions, regional organizations, the International Committee of the Red Cross and relevant non -governmental organizations may be invited to attend the Meetings of States Parties and the Review Conferences as observers. The costs of the Meetings of the States Parties and the Review Conferences shall be borne by the States Parties and States not parties to this Convention participating therein, in accordance with the United Nations scale of assessment adjusted appropriately. The costs incurred by the Secretary-General of the United Nations under Article 2 of this Convention shall be borne by the States Parties in accor dance with the United Nations scale of assessment adjusted appropriately. At the Meetings of States Parties or Review Conferences consideration may be given to any proposal for amendments of this Convention. The meeting or review conference may agree upon amendments which shall be adopted by a majority of two-thirds of the States Parties present and voting at the meeting or review conference. The amendment shall enter into force for each State Party that deposits its instrument of ratification of the amendment upon the deposit of such instruments of ratification by a majority of the States Parties. Thereafter, it shall enter into force for any other State Party upon the deposit of its instrument of ratification of the amendment. When a dispute arises between two or more States Partie s relating to the interpretation or application of this Convention, the parties concerned shall consult together with a view to the expeditious settlement of the dispute by negotiation or by other peaceful means of the parties’ choice, including recourse to the Meetings of States Parties and, by mutual consent, referral to the International Court of Justice in conformity with the Statute of the Court. The Meeting of States Parties may contribute to the settlement of the dispute by whatever means it deems appropriate, including offering its good offices, calling upon the States Parties concerned to start the settlement procedure of their choice and recommending a time limit for any agreed procedure. This Convention shall be open for signature to all States before its entry into force. This Convention shall be subject to ratification by signatory States. This Convention shall enter into force 90 days after the fortieth instrument of ratification, acceptance, approval or accession has been deposited. For any State that deposits its instrument of ratification, acceptance, approval or accession after the date of the deposit of the fortieth instrument of ratification, acceptance, approval or accession, this Convention shall enter into force 90 days after the date on which that State has deposited its instrument of ratification, acceptance, approval or accession. Each State Party shall in exercising its national sovereignty have the right to withdraw from the Convention if it decides that extraordinary events, related to the subject matter of this Convention, have jeopardized the supreme interests of its country. It shall give notice of such withdrawal to all other Parties to the Convention and to the United Nations Security Council three months in advance. Such notice shall include a statement of the extraordinary events it regards as having jeopardized its supreme interests. Such withdrawal shall only take effect three months after the receipt of the instrument of withdrawal by the Depositary. If, however, on the expiry of that three-month period, the withdrawing State Party is engaged in the situations referred to in Article 2 common to the Geneva Conventions of 12 August 1949 for the Protection of War Victims, including any situation described in paragraph 4 of Article 1 of Additional Protocol I to these Conventions, the Party shall continue to be bound by the obligations of this Convention and of any annexed Protocols until the end of the armed conflict or occupation. This Convention does not affect the rights and obligations of the States Parties under the Treaty on the Non-Proliferation of Nuclear Weapons. Procedures for the safeguards required by Article 3 shall be followed with respect to source or special fissionable material whether it is being produced, processed or used in any principal nuclear facility or is outside any such facility. The safeguards required by Article 3 shall be applied on all source or special fissionable material in all peaceful nuclear activities within the territory of such State, under its jurisdiction, or carried out under its control anywhere. The Agreement referred to in paragraph 1 above shall be, or shall be equivalent in its scope and effect to, the agreement required in connection with the Treaty on the Non-Proliferation of Nuclear Weapons (INFCIRC/153 (corrected)). Each State Party shall take all appropriate steps to ensure that such agreement is in force for it not later than eighteen months after the date of entry into force for that State Party of this Convention. Each State Party undertakes not to provide source or special fissionable material, or equipment or material especially designed or prepared for the processing, use or production of special fissionable material for peaceful purposes to: (a) any non-nuclear-weapon State party to the Treaty on the Non-Proliferation of Nuclear Weapons unless subject to the safeguards required by Article III.1 of that Treaty; (b) any other State unless such material or equipment is subject to applicable safeguards agreements with the International Atomic Energy Agency and shall be used for exclusively peaceful purposes.